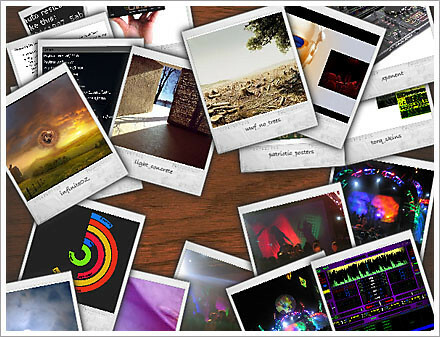 This is a nice way to look at a collection of photos, like a pile of Polaroids on a desktop. 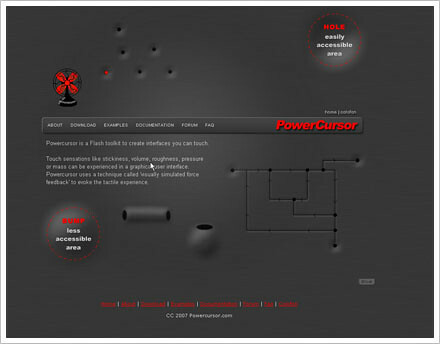 Power Cursor is a new style of web interface that uses tactile modeling to represent force feedback, all without leaving the browser. In modern operating systems a whole new approach is opened once you start to script repetitive tasks so that you NEVER have to do them again. All you have to do is run the script – and that annoying task is completed. Computers are probably the easiest place in the world to automate a task, so why not start taking advantage of automation and script something today! Having just reinstalled WinXP as my Vista RC2 is reaching the end of it’s [time limited, and performance restricted] lifespan, I took the time to tweak all the services that start up in a default install on WinXP. I disabled everything that I thought I safely could while still retaining a fully functioning system using guides I found online here. All seems to be running smoothly (and blindingly fast after Vista, even without the Omega video drivers). I did have to re-enable the HIDServ service (Human Interface Device service) which handles keyboards and the like . I found that the extra buttons on my keyboard (things like Play, and Track Advance, which I use so frequently) weren’t working with it disabled. I am wondering what the ‘Ultimate’ (entry-level) live performing rig would consist of. I am at the stage where I need to get a dedicated box, probably before a new years party next month. I figure if I can work out what the ulitmate rig is, and the cost, I can take steps backwards until I hit my maximum price point. 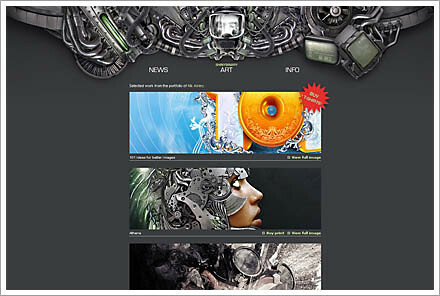 Alienware Aurora™ m9700 or Sagar NP9890-V . The Alienware seem better specc’d with the Dual Sli cards. But there is a lot of bad talk about poor build quality and crappy service, 15% charges on returns etc etc. So I think it would be a bit silly to buy from them. I’ve been a busy wee beaver. In Canada the Beaver is a noble animal. No really. And I have been one. I haven’t seen one, but I have been one. I did see racoons the other night though. They are big. Big and fluffy. Completly uncaring of my presence nearby. Anyway I have been busy. We got a projector a while back. An Optoma HD70. A budget range projector that can handle widescreen. We have been using it for a few weeks but have just returned it because the focus wasn’t sharp enough. I want the supplier to test it and tell me if that is normal, either for the HD70 or for any new HD projector in the budget category. I may have to get a better model but there is a real big jump in price. What to do. We’ve also decided to get into the new age and get a VOIP handset. Haven’t really given it a run for its money yet, but will probably use Skype to surprise someone this weekend. Also got a fat ish hard disk. Which I chucked in my pc last night. 320 GB is a big jump from 80 odd that was in there. Next stop Vista RC2.